The Center of Excellence for Personalized Medicine of Infectious Complications in Immune Deficiency (PERSIMUNE) at Rigshospitalet, Denmark, has developed a model – the so-called PERSIMUNE model – on how to improve treatment and prevention for the individual patient through a much better structuring of clinical data. The model will be one of the cornerstones for the Datacenter Øst (Data Center East) – a central element in the initiative: Personal medicine in Eastern Denmark, including The Capital Region of Denmark, Region Zealand, the University of Copenhagen and the Technical University of Denmark, which are all behind the initiative. The vision with Datacenter Øst is to create a joint data infrastructure for medical analytical data to support the clinical decision-making process and general research usage. Head of center for PERSIMUNE, Professor Jens Lundgren, will be in charge of the data center. Read more about the initiative Personal Medicine in Eastern Denmark and Datacenter Øst here and here (in Danish). Ph.D. project from CNAP: Can AR be used to treat phantom pain in amputees? The Researcher’s Zone (Forskerzonen) at Videnskab.dk is a platform for Danish researchers to communicate their own research. 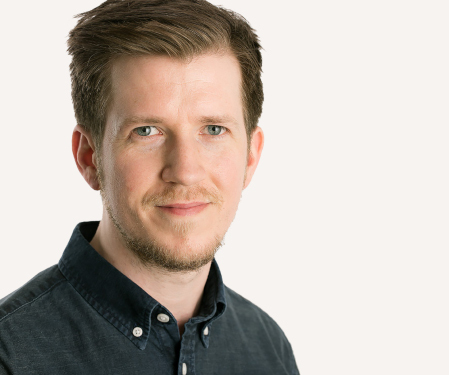 In a recent article at The Researcher’s Zone, Mikkel Thøgersen, from the Center for Neuroplasticity and Pain (CNAP) at Aalborg University, tells about his Ph.D. project, which deals with the use of augmented reality (AR) to fight phantom pain in amputees. About 90 percent of amputees experience the sensation that the amputated limb still exists. Some experience it as comfortable, but the majority experience it as pain – phantom pain. But by using AR, researchers at CNAP try to give back control to the amputee with “virtual body parts.” AR is a broad term that basically covers the use of technology to add “virtual layers” to reality. Popularly known uses of AR include the game Pokémon Go and the Snapchat app’s popular camera filters. But AR is also widely used in industry, research, and teaching. The study is still a non-peer-reviewed preliminary study of seven test subjects, but the results indicate a possible significant reduction in pain when using AR in treatment. Further research is needed before conclusions can be drawn. Read more about Mikkel Thøgersen’s Ph.D. project at CNAP at Forskerzonen here (In Danish). Professor Eske Willerslev, who is head of center at the Center for GeoGenetics, has been appointed chair for the Danish Institute of Advanced Study (D-IAS) at the University of Southern Denmark. D-IAS is the university’s interdisciplinary research environment that aims to be the basis for groundbreaking research ideas across the university’s different research fields and disciplines. Read more about Professor Willerslev’s selection at D-IAS here. Torben Heick Jensen, who is a former head of center at a DNRF Center of Excellence, has received 60 million DKK from the Novo Nordisk Foundation’s Challenge Program to establish a new biomedical research center at Aarhus University. For the next six years, the new research center, which will be named “Exo-Adapt,” will describe how the body’s cells sort genetic information. The research center also aims to strengthen the collaboration between national and international researchers, with the purpose of creating research that will benefit future biomedicine in the long run. Professor Jensen was the head of the Center for mRNP Biogenesis and Metabolism from 2005 to 2015. Read more about Exo-Adapt at Aarhus University here.